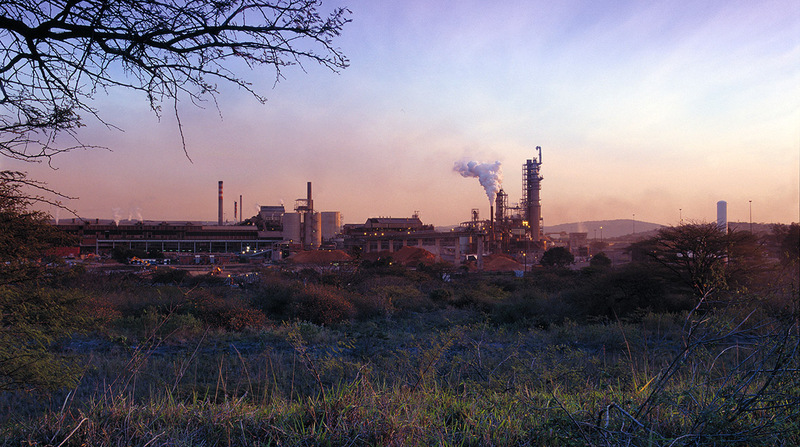 Tugela Mill has been in operation since 1945 and is currently the oldest purpose-built mill in the Sappi group. 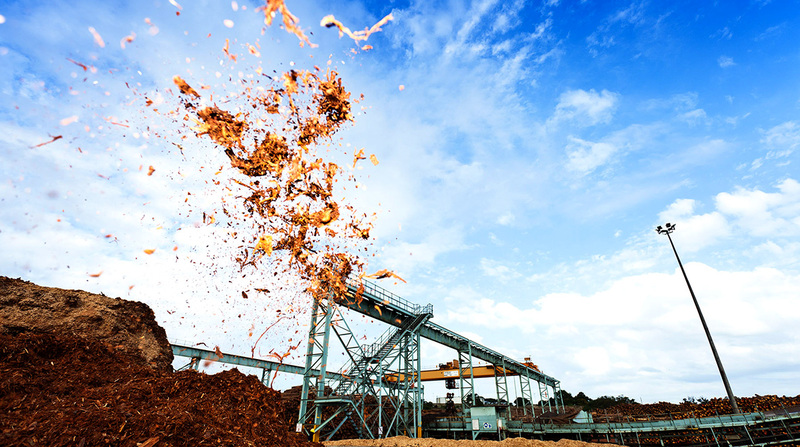 The mill produces pulp for its own consumption, containerboard (corrugating medium) and lignosulphonate for export. 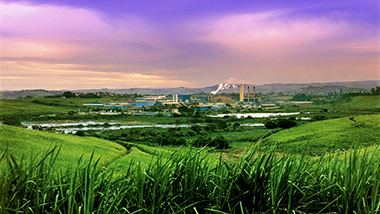 Situated in the town of Mandeni near the Tugela river in KwaZulu-Natal, the mill is located near the ports of Richards Bay and Durban (South Africa), allowing for easy access to global markets. Our emphasis at the mill is on satisfying customer needs through high levels of quality and process as well as equipment optimisation. We produce 150,000 tons per annum of neutral sulfite semi-chemical pulp (NSSC) for own consumption and with a capacity of 200,000 tons per annum, the no 2 paper machine produces a range of Ultraflute and Ultratest corrugating medium (liner) manufactured from recycled and virgin fibre. 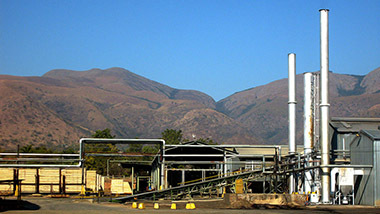 Established in 2012, Tugela Mill joined Sappi Biotech as a source of lignosulphonate, producing 25,000 tons per annum of lignosulphonate in powder form and 35,000 tons per annum of liquid product. The mill also produces 60,000 tons of ReFibre for its own consumption per annum. Tugela Mill plays a major role in leading packaging innovation in South Africa and is the only mill in the country to offer high-performance containerboard packaging. This allows customers to develop lightweight boxes which will retain their strength in cold storage conditions. Further benefits to the converter include improved flexibility, increased speed for the corrugator and raw material optimisation. Its lightweight characteristics allow for alternative paper combination, equal strength, better yield, cost advantage and uncompromised performance. Our Ultraflute and Ultratest liner product grammage weight ranges from 125–180 g/m2. The team who helped develop Ultraflute were recently awarded the 2016 Sappi Technical Innovation Awards—a very prestigious accolade. 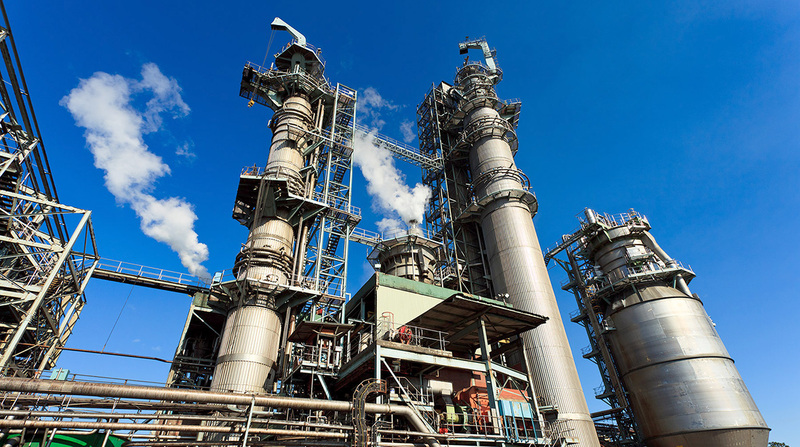 Our lignosulphonate product is an exciting addition to the mill’s product range and we supply to the concrete admixture manufacturing, clay brick/ceramic tile manufacturing and road dust suppression markets. A spray dryer converting the liquid lignosulphonate into a powder format was commissioned in 2015 enabling the mill to expand the product footprint. 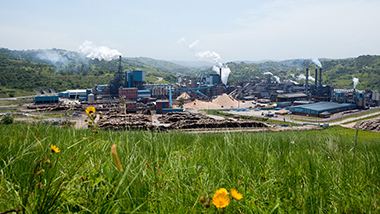 In addition, the mill owns and operates its own landfill site which is operated commercially with a 10-year waste management licence obtained in 2011. 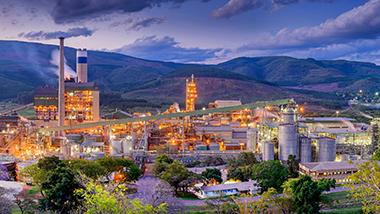 Tugela Mill has been credited with the internationally recognised environmental management system (ISO 14001), quality management system (ISO 9001) and safety management system (OHSAS 18001). In addition the mill has been audited for Forest Stewardship Council® (FSC®) certification. Umfolozi College — Sappi has been instrumental in development of the Umfolozi (FET) College. 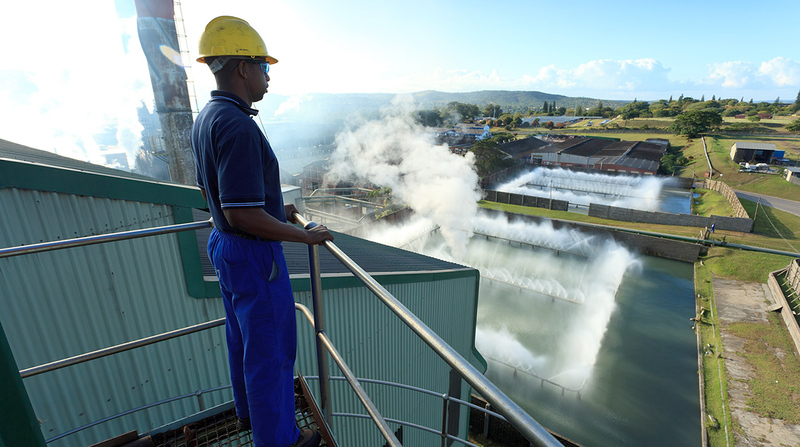 In 2007, Tugela Mill moved its internal training centre to the Umfolozi College and formed one of the first partnerships between government and private industry. This was a first in the Sappi group and has been widely recognised by local and national government for the value it adds to the local community. PROTEC — A national science and technology career development programme promoting technology literacy for learners in grades 10-12. PROTEC Mandeni is a Sappi sponsored branch with representation on the PROTEC Mandeni branch. Our policy is focussed on education, training and awareness programmes with regards to the promotion of acceptance and transparency around the disease in the workplace. This is coupled with reasonable and appropriate support for infected and affected employees. Simunye Forum – A community based environmental forum where interested and affected parties and affected public groups can discuss, debate and resolve issues that not only involves the mill but the wider Mandeni community. Through liaison with the Simunye Forum, strong and transparent relations exist with external stakeholders in the community. 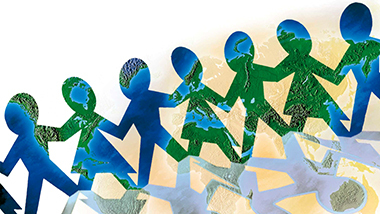 A sustainability charter which reviews its targets quarterly has also been established.